Winter, Spring, Summer, and Fall, there's a wonderful bookmark here for all! Designer Deborah Lambein has created 8 cross stitch designs for the seasons. 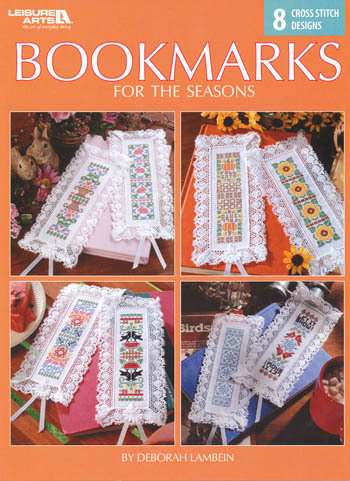 Each is stitched on white Stitch-N-Mark ™ Bookmarks. (18 count Aida).